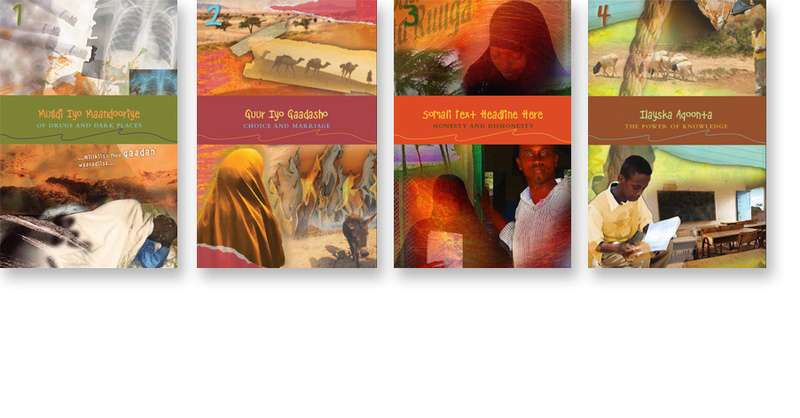 The Somali Readers Series of books is designed for all Somali children and teachers interested in literacy development. These books are targeted to a teen audience. 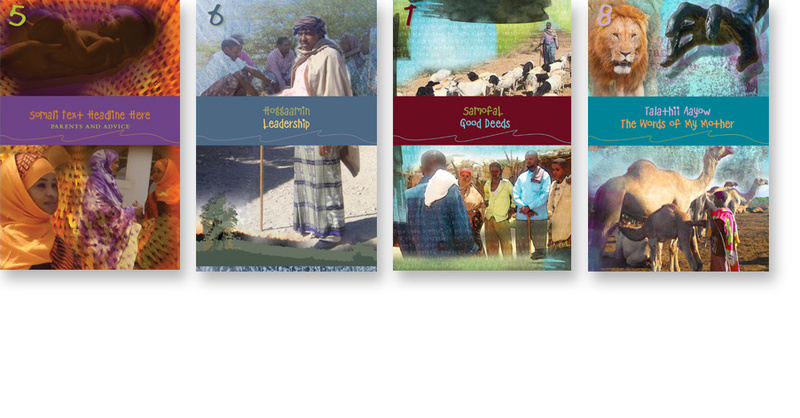 In order to bring the true flavor of Somalia to the books, photography was provided from Education Development Center's staff in Somali and then used to create digital collages to enhance the tales in the book. 2Creative teamed up with GO!Creative to tackle the project.